A lot of people don’t realize that there are several different types of bail available. Depending on the charges and financial situation of the accused, each case has its own bond as determined by a judge at the bail hearing. Though some may be used more frequently than others, the job of the accused is the same: to show up to court and maintain contact with the judge. 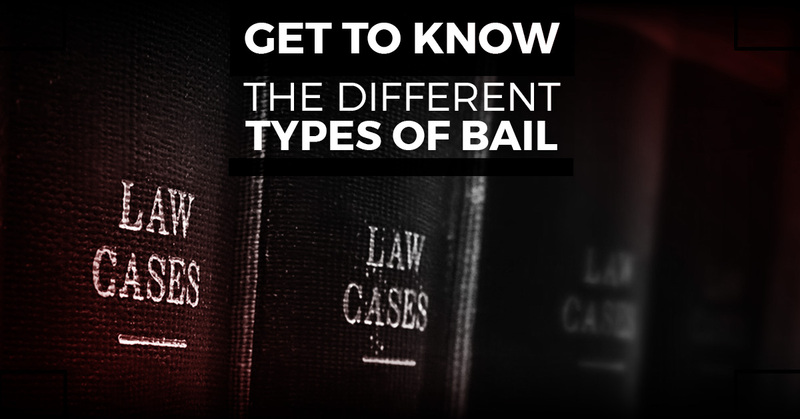 In this blog post, we will dive into the five major types of bail. The accused must pay the full amount of their bail via cash, credit cards, or some sort of payment plan. Judges tend to use cash bonds when they deem the accused to be a flight risk or a danger to the public. Should the accused not appear in court for their hearings, the bail is forfeited and a warrant is issued for their arrest. However, if the defendant complies with the courts and attends all hearings, bail is returned after sentencing. This type of bond involves a person’s possessions as a way to ensure bail payment. Larger items such as a car, house, or other property are all fair game. The court then places a claim, or lien, on the property. Missing out on court appearances allows the court to possess these items and force the accused to forfeit ownership in order to cover the bail cost. Property bonds are usually only used as last resort options. In very rare instances, a judge may choose to release someone on personal recognizance. This means that the accused is entirely responsible for attending court appearances, yet doesn’t have to pay bail to the courts. Should the accused not adhere to these conditions, they will be brought back into custody until trial and/or sentencing. It’s important to know that personal recognizance bail is considered for low-risk cases primarily. A “cite out” as it’s often referred, serves as a court summons if a criminal violation is cited by the officer. Failure to make the court appearance can result in further legal trouble for the accused, including possible jail time. As opposed to the aforementioned bail types, release on citation is reserved for minor violations of the law. Society typically knows this bond as a bail bond. This bond is used when the accused can’t afford to pay the set bond by the judge. Someone contacts a bail bondsman who then appears in court with the accused and pledges to pay the full amount if he or she fails to attend their court appearance. The bail bonds agency charges the accused a particular premium and has the right to hold possessions as collateral. As with the other bail types, if the accused doesn’t make their court appearance, there will be more severe legal repercussions. If you’re in need of a reliable NYC bail bond agent, look no further than ABC Bail Bonds. We are a third generation business with more than 50 years of industry experience. Unlike other bail bonds services, our bail bondsman focuses on helping you. Our bail bond company goes the extra mile in helping you understand the bail process and putting your mind at ease.